Rozier has struggled most of the season after his breakout performances in last season’s playoffs, when he averaged 16.5 PPG, 5.3 RPG and 5.7 APG while subbing for an injured Kyrie Irving. So why is his stock up? Irving’s commitment to the organization is shaky at best, which makes restricted free agent Rozier a major insurance policy. Rozier would clearly benefit from becoming a starter in Boston or elsewhere. He has averaged 14.5 PPG, 5.8 RPG and 5.7 APG the last six games in which Irving missed and he played. He rarely turns the ball over, which makes any coach happy. Davis consistently stays in a team’s rotation by knowing his role and his limitations. He’s told to rebound and play defense and he does those well. Davis is averaging a career-high 8.5 RPG while playing pretty much the same minutes he logged for Portland the previous three seasons. He sports a strong 1.7 Defensive Box Plus/Minus rating, according to Basketball-Reference. He’ll continue to find work as a second-unit fixture who doesn’t mind letting his teammates do all the scoring. Hezonja had a second chance to shed the label of ‘bust’ by signing with the rebuilding Knicks after three forgettable seasons with Orlando. Perhaps his label should now read ‘colossal bust.’ Hezonja is destined to go down as one of the worst top-five picks in the last two decades. In 46 games, Hezonja has averaged 7.6 PPG on 39.7% shooting and 3.7 RPG while compiling more turnovers than assists. He hasn’t played since mid-February due to a knee injury or coach’s decision. It wouldn’t be surprising if the Croatian native spends the remainder of his career in Europe. Marjanovic has been sidelined recently by a knee injury. He’s been highly productive and always entertaining when he plays. The 7’3″ center is a throwback to another era when slow-footed giants were more prevalent in the league. Marjanovic is impossible to stop when he gets the ball down low but his lack of mobility make it tough to play him for long stretches. The happy-go-lucky Marjanovic is a fan and locker-room favorite who might get a short-term deal as a third-string backup but it’s doubtful he’ll receive another three-year offer. Green was the ‘other’ starter in the blockbuster Spurs-Raptors trade this offseason. Green isn’t an All-Star talent like Kawhi Leonard or DeMar DeRozan, but he’s a solid NBA starter on one of the top teams in the league. He gained that status in San Antonio and nothing’s changed north of the border. Green has taken two-thirds of his shots from beyond the arc and made 43.3%, his best long-distance average since the 2011/12 season. His Defensive Box Plus/Minus rating has dropped this year but he’s still a plus 1.2. Green’s 3-point shooting alone will guarantee him a nice payday this summer. The Sixers are running out of healthy big men and if it appears that Boban Marjanovic won’t return soon, the team will likely explore options for adding a center to the roster, Keith Pompey of The Philadelphia Inquirer reports. Joel Embiid came out of the All-Star break with knee soreness and was expected to miss about a week. Those three games have now turned into six, with Embiid sitting out against the Magic tonight. Brown added that he doesn’t have a timeline on Marjanovic. Jonah Bolden and Amir Johnson are both nursing ailments and didn’t practice on Tuesday, leaving. Justin Patton, who came to Philadelphia in the Jimmy Butler deal, as the only fully healthy center on the team. The Sixers don’t currently have an open roster spot, but could create an opening by waiving a player like free-agent-to-be Furkan Korkmaz, who is currently injured and didn’t have much of a role when he was healthy. Boban Marjanovic fell to the floor with what appeared to be a serious knee injury during the Sixers‘ win over the Pelicans on Monday. However, testing today came back better than expected with the team announcing that Marjanovic suffered a bone bruise and a mild sprain on his right knee. Brett Brown hopes that the 7’3″ big man won’t miss significant time, though the 76ers’ head coach won’t be relieved until Marjanovic goes closer to a return. Marjanovic, who was acquired along with Tobias Harris prior to the trade deadline, will be reevaluated about a week. He was playing a more critical role for the Sixers because of Joel Embiid‘s absence from the court. Embiid was experiencing knee soreness coming out of the All-Star break and the team is opting to be extra cautious with their franchise center. The Cameroon native has missed all three games since the break and he’s not expected to play in the team’s clash against the Thunder on Thursday. Jonah Bolden started at the five on Monday and will likely continue in that role with both big men sidelined. In the press release, the team also announced that Furkan Korkmaz underwent successful surgery on his right knee, repairing a torn meniscus. The swingman will be reevaluated in approximately four weeks. The Sixers added another star at the trade deadline in Tobias Harris and the 26-year-old is thrilled to be in Philadelphia. The Sixers sacrificed depth over the past few months in order to put together a lineup of Harris, Jimmy Butler, Ben Simmons, J.J. Redick, and Joel Embiid. The lineup showed its potential in Friday night’s win over the Nuggets where it went on a 14-7 over the last four minutes to close out the game. GM Elton Brand said he’s received “all assurances” from the Sixers’ ownership that the team can re-sign both Harris and Butler, Bontemps tweets.“We’re all on board to keep this core together long-term,” Brand said. By trading for Butler and Harris, the Sixers were no longer in position to be patient with Markelle Fultz, Bontemps explains in a separate piece. The team is built to win now and that, coupled with Fultz’s salary, which will come in at nearly $9.75MM next season, made it time to move on. 12:02pm: The Sixers and Clippers have both issued press releases officially announcing the trade. 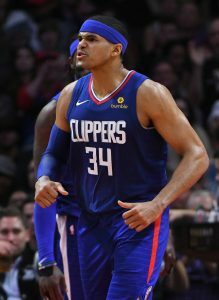 7:10am: The Sixers and Clippers have agreed on a six-player deal that will send Tobias Harris to Philadelphia, Adrian Wojnarowski of ESPN writes. In exchange, Los Angeles will bring back rookie Landry Shamet, two first-round picks and a number of other resources. Shams Charania of The Athletic first reported (via Twitter) that the two sides had reached a deal. In total, Philadelphia will acquire Harris, Boban Marjanovic, and Mike Scott while Los Angeles adds Shamet, Wilson Chandler, Mike Muscala, Philadelphia’s own 2020 first-rounder, Miami’s unprotected 2021 first-rounder, and a pair of future second-rounders. The two second-round picks will be the Pistons’ 2021 and 2023 selections, per Rich Hofmann of The Athletic (Twitter link). As for the Sixers’ 2020 first-round pick, ESPN’s Ramona Shelburne reports (via Twitter) that it will be lottery protected for three seasons, and would turn into a pair of second-round picks for 2023 and 2024 if it hasn’t conveyed after those three years. It’s a massive swing by the 76ers, who appear to be going all-in on their current group after years of rebuilding. In Harris, they acquire a 26-year-old forward who is having the best year of his career. 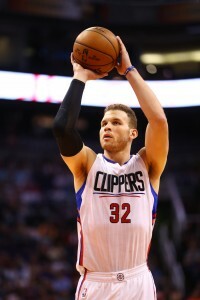 In 55 games for the Clippers, he averaged 20.9 PPG and 7.9 RPG with a shooting line of .496/.434/.877. All of those numbers are career highs. Harris will join a starting lineup that already features Joel Embiid, Jimmy Butler, Ben Simmons, and J.J. Redick, giving the Sixers arguably the most talented starting five in the East. Meanwhile, Scott and Marjanovic will help replace some of the frontcourt depth Philadelphia has sacrificed by trading Chandler, Muscala, Dario Saric, and Robert Covington this season. Harris is on an expiring contract and will become an unrestricted free agent this summer, but the Sixers intend to be “aggressive” in re-signing him to a new deal, sources tell Wojnarowski. The plan in Philadelphia is to secure the team’s Big 4 of Embiid, Butler, Simmons, and Harris long-term, regardless of luxury tax concerns, according to ESPN’s Zach Lowe (Twitter link). Of course, as Lowe observes in a follow-up tweet, having both Butler’s and Harris’ Bird Rights in free agency this offseason will give the Sixers some leverage negotiating with each player. If the franchise ultimately does re-sign both players and gives Simmons a maximum-salary extension, the Big 4 would likely cost approximately $120MM by the 2020/21 season, Bobby Marks of ESPN observes. As for the Clippers’ side of the deal, while Harris had been great for the team since coming over in last year’s Blake Griffin blockbuster, he isn’t at the top of the organization’s wish list for 2019 free agency. As such, the club was comfortable giving up his Bird Rights in exchange for long-term assets. By acquiring Shamet and two more first-round picks, including an unprotected 2021 Heat selection that could end up being pretty valuable, the Clippers have added more strong trade assets that could be used in pursuit of a star down the road. Although the Clippers were one of the clubs on Anthony Davis‘ reported four-team wish list, L.A.’s front office didn’t make this trade with the primary objective to go after Davis, league sources tell Wojnarowski. Still, if the Clips pursue a player like AD or another star this week or in the offseason, their new assets will probably be more intriguing to a rebuilding team than Harris would have been. Harris ($14.8MM), Marjanovic ($7MM), and Scott ($4.32MM) are all on expiring contracts, as are Chandler ($12.8MM) and Muscala ($5MM). However, the Clippers will actually add a little money to their books for 2019/20 by taking on Shamet, who is on his rookie contract and will earn just under $2MM in 2019/20. Even after that modest addition to their cap, the Clippers will be in a good position to create the space necessary for at least one maximum-salary player in July. According to Marks, the Clippers should have about $37MM in room, and could increase that number to $49MM by waiving Avery Bradley. If they could find a taker for Danilo Gallinari, that figure would further increase to $70.7MM, which should be enough for two max slots. The ramifications of this blockbuster deal on both conferences could be significant. In the West, the Clippers currently hold the No. 8 seed at 30-25, but the Kings and Lakers remain in hot pursuit of a playoff spot. Without Harris, the Clips’ playoff chances will dip, which in turn will reduce their odds of hanging onto their 2019 first-round pick — that selection is owed to the Celtics, but is lottery protected. Meanwhile, in the Eastern Conference, there’s a clear group of four teams at the top of the postseason race, with the Sixers joining the Bucks, Raptors, and Celtics. It will be interesting to see whether any of those other contenders respond with moves of their own before Thursday’s deadline. In his analysis of the trade, ESPN’s Tim Bontemps notes that Milwaukee may have already made its most significant move, acquiring George Hill earlier in the season, and Boston may save its assets for an offseason run at Davis. That leaves the Raptors as the most intriguing wild card over the next couple days. Toronto has been aggressive on several fronts, tweets Chris Mannix of SI.com. Finally, one more cap-related note on this swap: The Clippers have multiple options for how to structure the deal, but one approach would see them create a $9.8MM traded player exception. Philadelphia won’t be able to generate a new TPE in the trade. Austin Kent contributed to this story. Lonzo Ball is expected to make his preseason debut Wednesday, according to Dave McMenamin of ESPN, which will also mark his first time on the court with LeBron James as a teammate. The Lakers have been careful with Ball as he recovers from offseason knee surgery, even as they have raved about his progress. Ball and James were both held out of tonight’s contest against the Clippers, but coach Luke Walton plans to use them in the next game against the Warriors. Ball has received medical clearance to play and participated in full-court, four-on-four matchups with contact this week. The Lakers have been resting James, playing him about 15 minutes in the first half of each of their first three games. The Suns‘ inexperience at point guard has been on display through the preseason, notes Duane Rankin of The Arizona Republic. With no established veterans at the position, coach Igor Kokoskov has been using a committee approach, giving playing time to Shaquille Harrison, Isaiah Canaan and rookies Elie Okobo and De’Anthony Melton. The results have been ugly as Phoenix is averaging more than 20 turnovers per game and had power forward Ryan Anderson handling the ball for part of Friday’s contest. When LeBron James joined the Lakers, several other seasoned veterans followed suit. While Los Angeles was not able to lure another high-priced free agent alongside James, the team did sign experienced players who all fill specific roles. Longtime Indiana Pacer Lance Stephenson, a noted on-court nemesis of James, was one of the first players to sign. Speaking a party to say farewell to Indianapolis, Stephenson told The Indianapolis Star that he did not personally hear from James but was aware of his interest. “Magic (Johnson) called me and he told me LeBron was interested, very interested in me,” Stephenson said. Stephenson, 27, is coming off a year in which he played all 82 games for the first time in his career. He averaged 9.2 PPG and 5.2 RPG for Indiana off the bench while providing his usual hard-nosed yet quirky style of play. Clippers players Milos Teodosic and Boban Marjanovic have decided not to join the Serbian national team for September’s FIBA World Cup qualifiers, head coach Sasha Djordjevic confirmed to Novosti.rs (via Sportando). The Clippers‘ quest for a new arena took a positive step forward on Friday, as lawmakers approved a bill that would streamline the process, Mirjam Swanson of The Orange County Register writes. The Lakers can improve their 3-point shooting in a variety of ways during the upcoming season, as Mark Trudell of the Lakers’ website details. While the Lakers didn’t add quality shooters in free agency to compliment LeBron James, they have some other options who can help them greatly improve upon their second-to-last showing from long range, Trudell continues. Brandon Ingram, Kentavious Caldwell-Pope, Josh Hart and Kyle Kuzma shot 38.5% or better on threes after the All-Star break last season, Trudell notes. Rookies Sviatoslav Mykhailiuk and Moe Wagner can help in that area, and the playmaking of James and Rajon Rondo can also facilitate more open looks from deep, Trudell adds. Mykhailiuk will play for the Ukranian national team in the FIBA World Cup qualifying tournament next month, according to the Ukranian Federation, Oleksandr Proshuta tweets. Mykhailiuk is paying for his own insurance in case he’s injured during the event, Proshuta adds. The Kings announced a number of hires to the front office staff in a team press release. Teena Murray has been named Senior Director of Athlete Health and Performance. Other hires to the training staff include Mike Roncarati as Head of Prevention and Reconditioning; Joe Resendez as Head Athletic Trainer; Jesse Green as Performance Analyst. Other additions and promotions include Elizabeth Ramsey as Director of Basketball Operations and Intelligence; Gene Cross as Director of Amateur Scouting; Chris Alpert and Acie Law as regional scouts; and Robbie Lemons as Scouting Coordinator. A decision on whether Clippers guard Milos Teodosic and center Boban Marjanovic will play for Serbia’s national team during the FIBA World Cup qualifying tournament in September will be made this week, according to a Sportando report. Serbia plays Greece and Estonia in the event. Of all this season’s trade candidates who didn’t end up being dealt, DeAndre Jordan may have been the most frequent subject of trade rumors. However, after sticking with the Clippers through last month’s deadline, Jordan doesn’t seem eager to leave Los Angeles this summer. 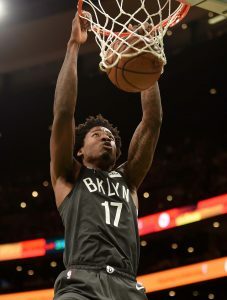 Although he’ll have the opportunity to become a free agent in July, Jordan tells Michael Lee of Yahoo Sports that his preference is to stay where he is. Jordan, who spoke about the “great times” he has had over the course of his 10 years with the Clippers, is probably unlikely to exercise his player option for 2018/19, according to Lee. However, even if he opts out, the veteran center could ink a new deal with the Clips. Whether such a deal is in the cards remains to be seen. Center Boban Marjanovic was an afterthought in this season’s Blake Griffin blockbuster, with the analysis of that deal mostly focusing on the other pieces the Clippers received — Tobias Harris, Avery Bradley, and a first-round pick. However, Marjanovic has been proving his value to the Clippers as of late, writes Elliott Teaford of The Daily Breeze. Boban has one more year left on his deal after this season and will earn $7MM in 2018/19. Earlier today, we opened up a discussion on the Western Conference playoff race, which features the ninth-seeded Clippers looking to work their way into the top eight. 11:46pm: The trade is now official, according to a press release issued by the Pistons. 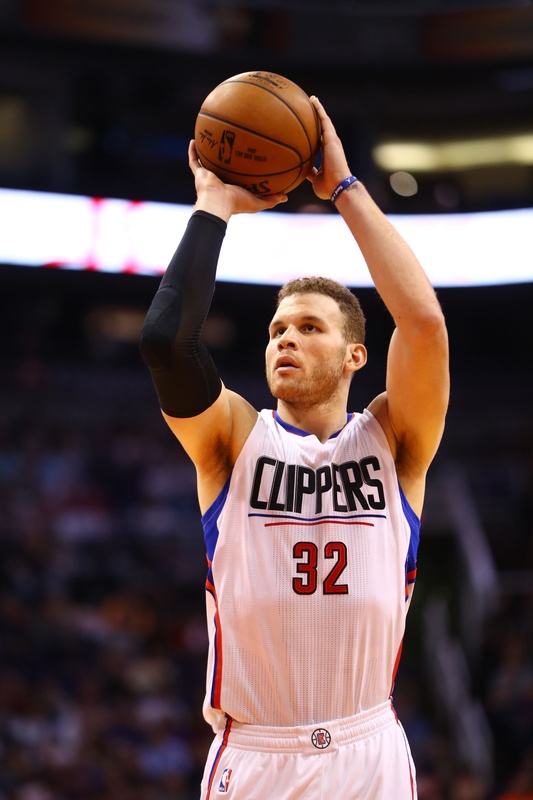 5:20pm: The Clippers have agreed to trade star power forward Blake Griffin to the Pistons in a multi-player deal, Adrian Wojnarowski of ESPN tweets. Detroit will ship forward Tobias Harris, shooting guard Avery Bradley, center Boban Marjanovic, a first-round pick and a second-round draft pick to the Clippers, Wojnarowski adds, citing league sources. Forward Brice Johnson and center Willie Reed are also heading to Detroit, Wojnarowski adds in another tweet. Detroit’s 2018 first-round pick is protected if it’s a top-four selection, according to Wojnarowski; It has the same protection for the next two drafts, then goes unprotected in 2021. The second-round pick in the trade will come in the 2019 draft (Twitter link). The Pistons, long rumored to be active on the trade market, have been trying to shake up their team while nosediving down the Eastern Conference standings. They have lost eight in a row and now sit in the ninth spot in the East. Wojnarowski had reported just hours ago that Detroit was shopping Bradley and his expiring contract. Griffin re-signed with the Clippers on a five-year max deal over the summer, so the Pistons are taking on an enormous salary commitment in order to pair him with current franchise player Andre Drummond. Griffin is making $29.5MM this season and he’ll be due another $141.6MM over the next four years, though the final year of the contract includes a player option. The longtime Clipper will also receive a $860K trade bonus spread over the next four seasons, salary-cap expert Bobby Marks of ESPN tweets. The Griffin trade bonus is not voided because his current salary is slightly below the max, Marks adds. The Clippers are in the playoff hunt at 25-24, so dealing Griffin certainly signals a change in the franchise’s long-term direction. It’s possible that this will be the first of multiple moves for the Clippers, since players like DeAndre Jordan and Lou Williams have also been considered potential trade candidates. Aside from Drummond, who is making approximately $23.8MM this season, Harris and Reggie Jackson are Detroit’s highest-paid players at $16MM this season. Bradley is making $8.8MM and Marjanovic is pulling in $7MM this season. Johnson is earning approximately $1.3MM and Reed has a $1MM contract this season. Both teams are hard-capped and near the luxury-tax line, as Marks notes in a tweet, so it was crucial that each team sent and received about the same amount of money. The Clippers will get cap relief in the long run as the contracts of Harris and Marjanovic expire after the 2018/19 season. Once this deal is finalized, Danilo Gallinari‘s contract will represent the only guaranteed money on L.A.’s cap beyond 2019.